Also called maple butter, maple cream is a light and spreadable maple product with only one ingredient – maple syrup! The process begins in a similar fashion to making snow candy but the final result is very different. This delicious spread can be added to breads, used in deserts, or stirred in to coffee. It is a must have for the maple lover in your life. Read on to see how it is made! There are only a few steps required in the making of the delicious maple cream that we sell. 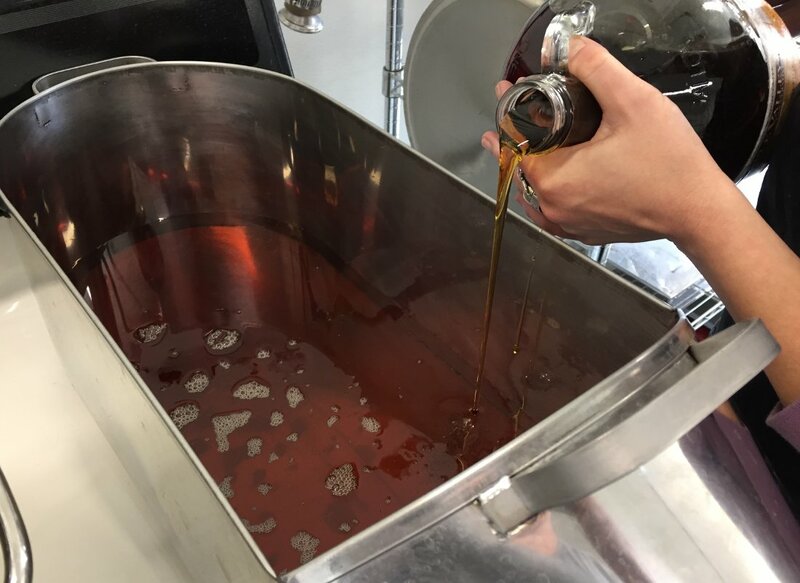 As with most maple products, the process begins by heating maple syrup. Once it has reached 235° F it is cooled to a little below 100° F. The pan that is used for this process is called a “pig” because it’s shape resembles a pig! 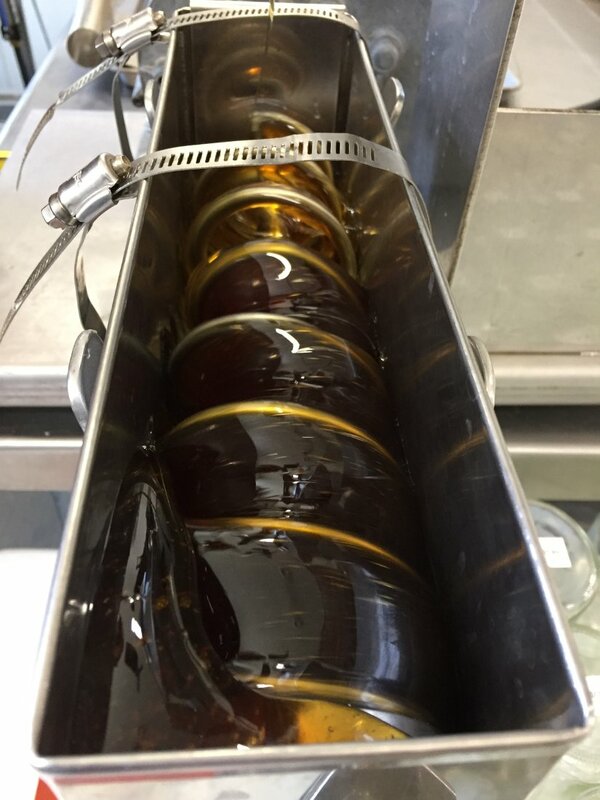 When it is at the proper temperature, the syrup is slowly poured into an automatic candy stirring machine. It stays in this machine until it appears to lose it’s shine and is ready to pour in to jars. 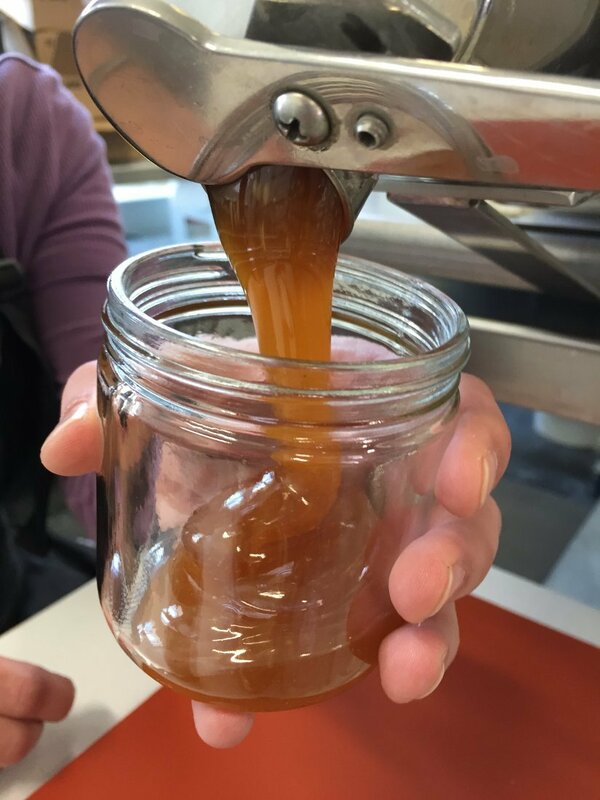 The jars are filled quickly in order to ensure the quality of the maple cream. As the syrup cools, it slowly lightens in color. Maple cream is formed as the syrup slightly crystallizes. 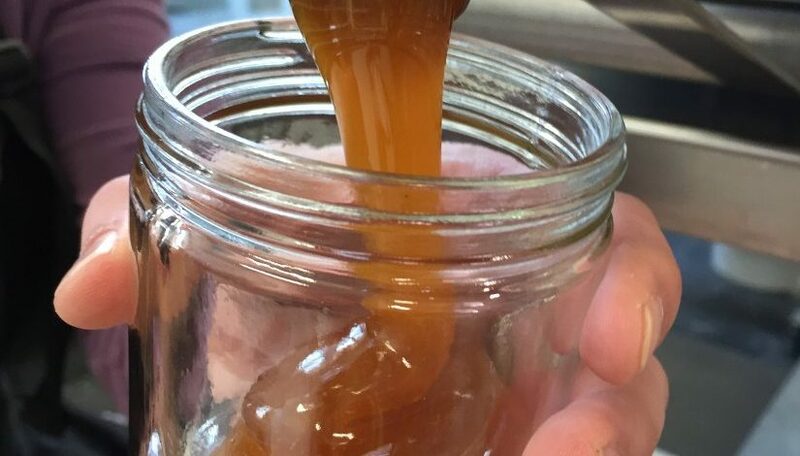 The jar in the background of the photo below will not be used as the syrup did not evenly crystallize. 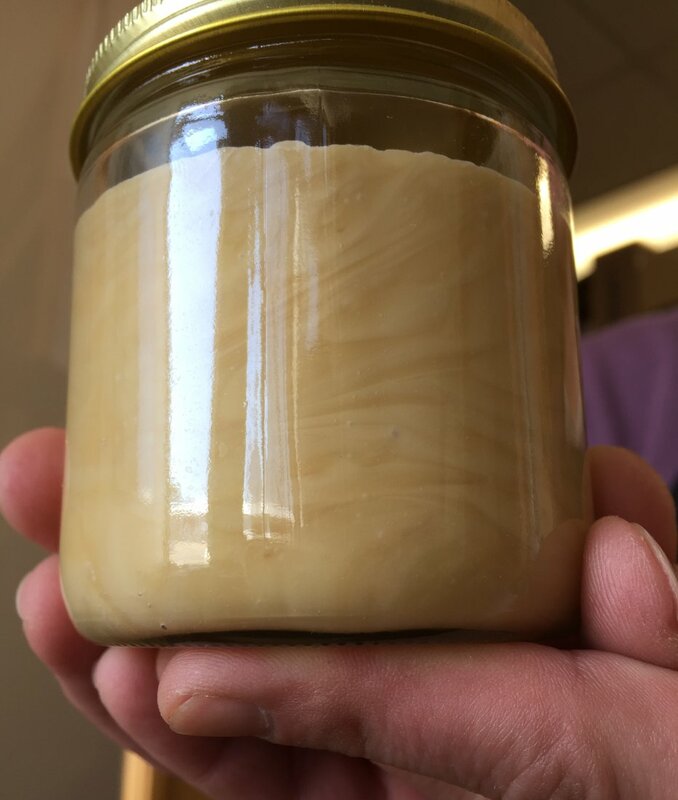 Once the maple cream has finished crystallizing, the best quality jars are chosen and are packaged to be sold. Yum! What is your favorite way to eat maple cream? Tell us about it in the comments!